This amazing lesson is a great way to celebrate National Dental Health Month in February. 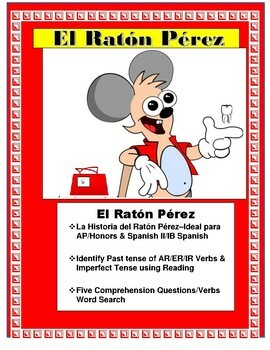 The story of "Ratón Pérez en Español" is the ideal lesson for AP/Honors & Spanish II classes. Great step by step lesson plan. 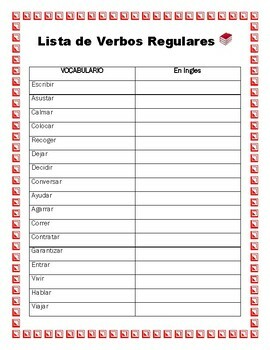 Have your students identify verbs used in past Tense and Imperfect in the passage. 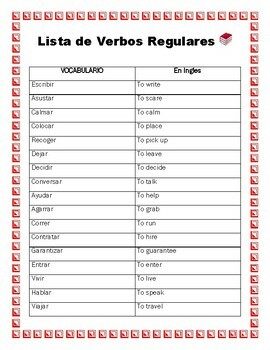 List of verbs in the reading included. Amazing lesson to practice reading comprehension of an actual passage in Spanish. Have students identify verbs in different tenses and teach techniques to figure out meaning of passages using cognates. 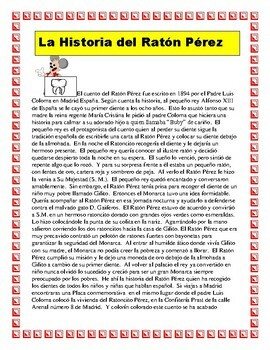  La Historia del Ratón Pérez– Ideal para AP/Honors & Spanish II- Story Written in Spanish using Past Tense and Imperfect verbs .  Reading Comprehension Questions in Spanish /English- based upon your class level you can use either one.  Word Search with Past Tense verbs and Imperfect verbs. FELIZ MES DE LA SALUD DENTAL! check my store for several lesson to make Valentinos. ***Follow up with a Cultural lesson on "La Leyenda del Chocolate"
Please follow my store for more amazing lessons.